The latest firmware update for the Samsung Galaxy Note 8 also carries several bug fixes that enhance the overall performance of the device. Samsung Galaxy Note 8, the premium offering by the South Korean giant is receiving a new firmware update. Earlier in February, Samsung pushed out the third Android Pie beta update for the flagship smartphone from 2017. Now, the latest update released for the device brings the latest Android security patch, along with some bug fixes to improve the performance of the device. The latest firmware update that has been released for the Samsung Galaxy Note 8 carries the firmware build N950FXXS5DSC5. The update is being rolled out in batches and will be available to only a handful of users before a mass rollout. The update rollout is expected to be available for all the Galaxy Note 8 smartphone users in the next couple of weeks. If you haven't received any OTA notification yet, the update can also be checked manually in the Software Update section in the Settings tab. The new firmware update for the Galaxy Note 8 brings the April 2019 Android security patch. The update also brings a fix for at least 15 different issues to enhance the overall performance of the smartphone. The update also fixes a critical bug which allowed an attacker to execute arbitrary code remotely to target the device. This is done using a specially created file to gain access to the device. 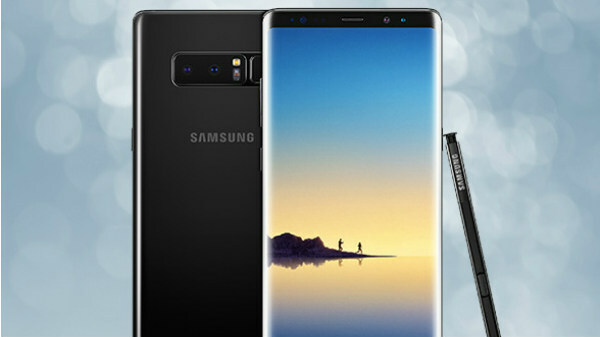 To recall, the premium Galaxy Note 8 is powered by Samsung's in-house Exynos 8895 octa-core chipset combined with a Mali-G71 MP20 GPU and 6GB of RAM. The device offers a storage space of 64GB which is further expandable via a microSD card up to 256GB. The rear panel of the device houses a 12MP+12MP dual rear camera setup. Whereas, the front has an 8MP lens for selfies and video calling. The display up front measures 6.3-inches in size and offers 1400 x 2960 pixels resolution.